I decided to prepare a vegetarian Korean combo. 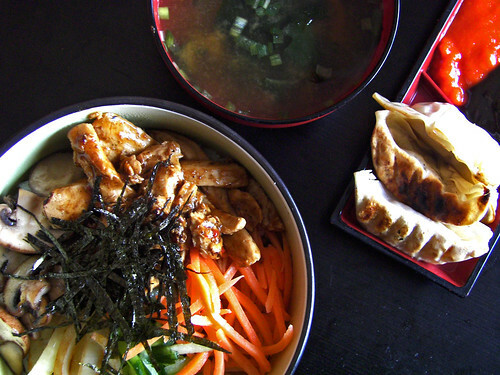 A miso soup, a couple vegetable dumplings (veggie mandoo) with a vegetarian bibimbap. My bibimbap consisted of rice, tofu strips cooked in teriyaki sauce, carrot, cucumber, mushroom, onion topped with seaweed (nori).